Wow! I can’t believe we are already late enough into the year that we need to start thinking about Mother’s Day! It seems like my family was just getting together to celebrate Christmas. The good thing is that you still have time, but if you want to get ahead of the game, the gals from Create and Thrive and I have put together 8 different gift guides for every type of mom you can think of. 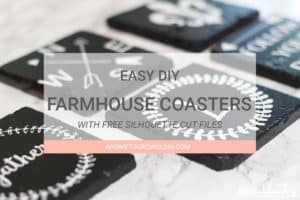 From the “DIY loving mom” to the “pampered mom” we’ve got your Mother’s Day shopping covered, so I hope you’ll check them all out at their links below! In the meantime, I’m sharing some of my favorite gift ideas for the jewelry lover in your life. I’ll start with this Kendra Scott pendant that was on my Christmas list last year and the year before, because I still haven’t gotten it. (Hint, hint, honey! Let’s see if my husband reads these!) I’ve given this necklace as a gift, and it’s just stunning. My favorite is the slate stone in gold, but there are so many beautiful colors. It’s the perfect layering piece! 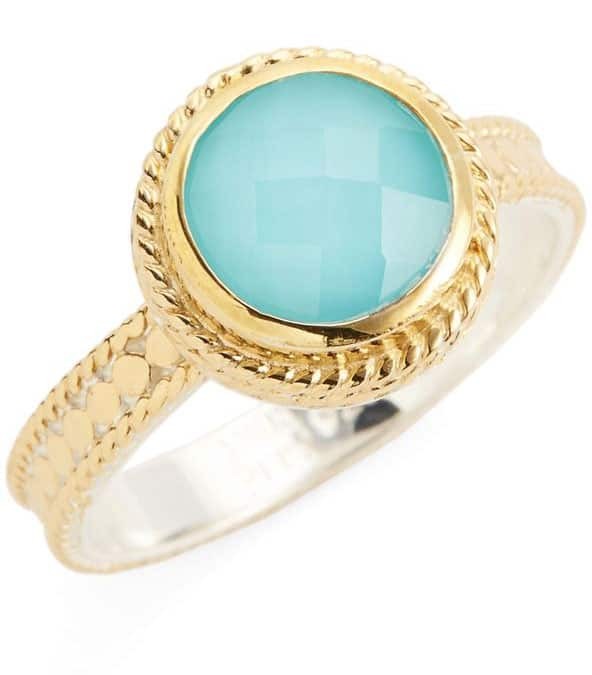 This turquoise colored ring is such a fun, casual ring! I think it’s got a bit of an antique feel to it. 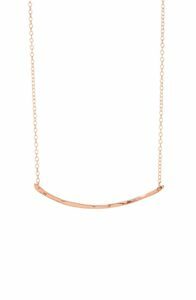 I love the simplicity of this “bar” necklace, and it looks so sweet in rose gold! These studs are perfect in every way! 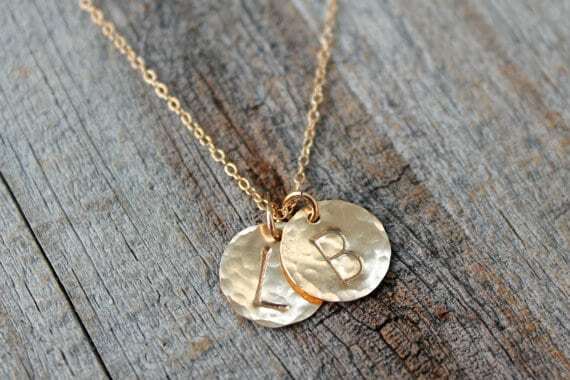 Isn’t this birthstone necklace with initials so elegant? Or, if you’re looking for something simpler with your children’s initials, this is also a great option. 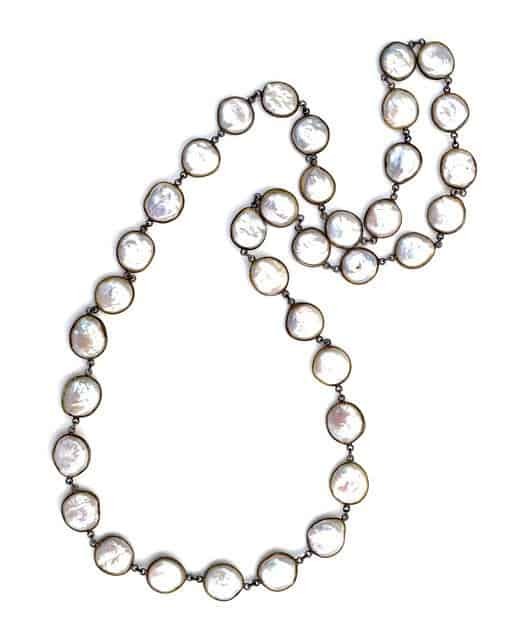 I’ve always loved pearls, and I think this necklace encased with oxidized metal gives it a more modern look. The colors in this watch are so different that I was immediately drawn to it. It kind of reminds me of a pink and green tortoise shell. 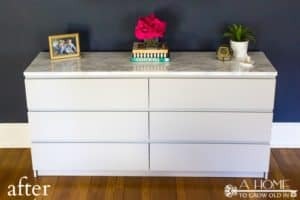 Now, if you want to help mom get her jewelry organized, this is the cabinet to do it! I’ve had this cabinet for about 5 years now, and it holds everything! 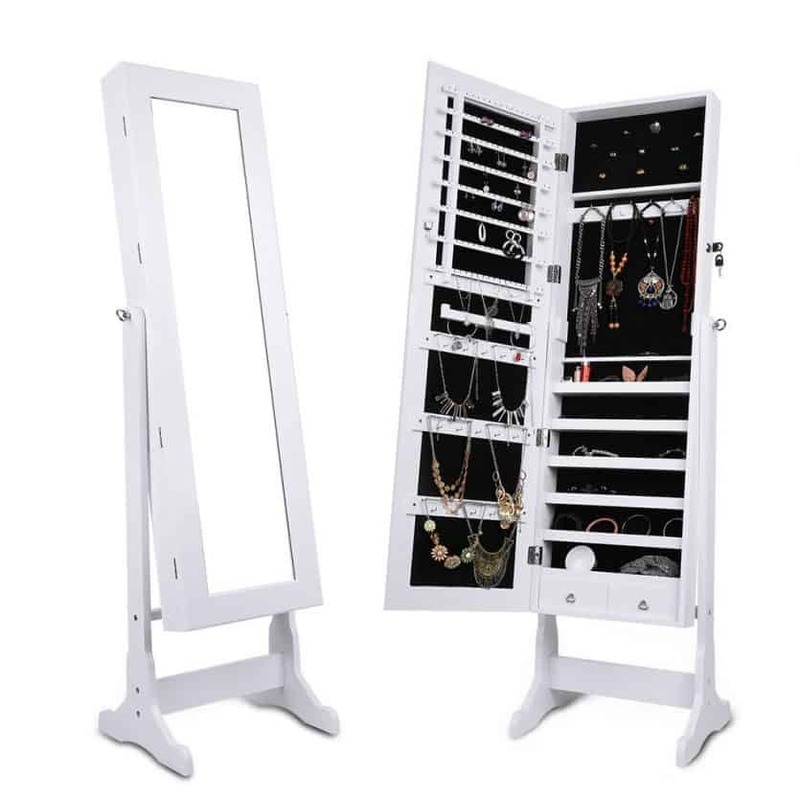 I keep mine in my closet, and it doubles as a full-length mirror. It keeps all my jewelry pieces organized and visible, so I’ve found I wear my jewelry more because I can easily find what I want to wear. 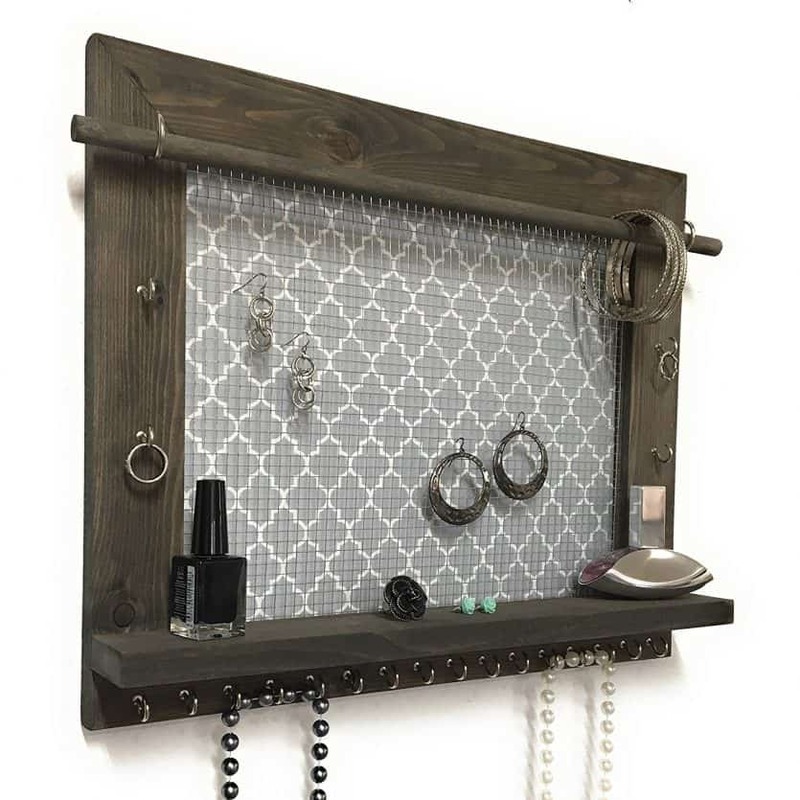 This wall mounted organizer looks great hanging on a wall and doesn’t take up much space. 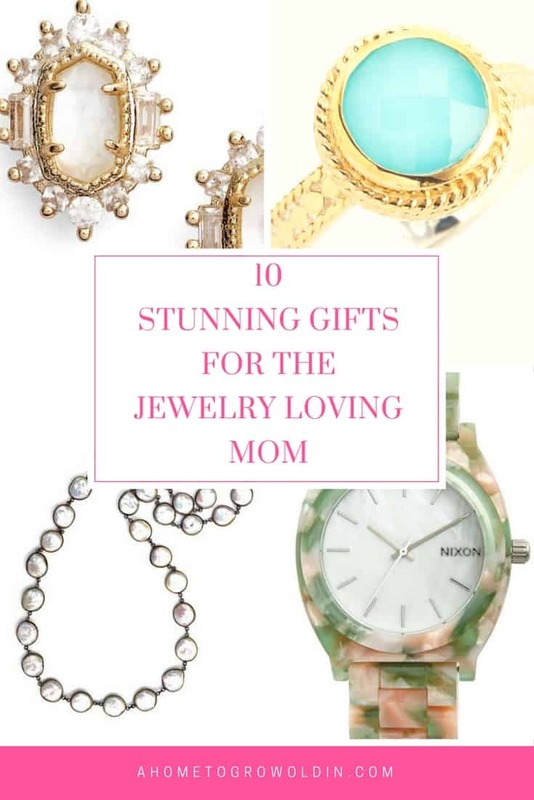 If jewelry isn’t your mom’s thing, make sure to check out my friends’ gift guides at the links at the top. 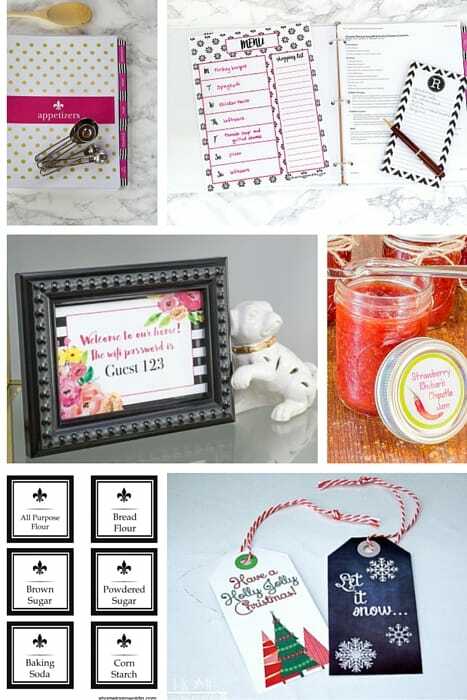 You’re sure to find some great ideas for whatever type of mom that you’re looking for this Mother’s Day. You can’t go wrong with jewelry. I love these pieces that you have picked out and that birthstone necklace is the prettiest birthstone piece of jewelry that I have ever seen. I want one! Thanks for sharing. I would like one of everything! Seriously good job on the collection. I’m in love with that watch. Someone needs to get you that Kendra Scott necklace. I remember that from your Christmas list. 🙂 I treated myself to that necklace a while back and absolutely love it. One of my all time favorites. In fact…I am wearing it today. 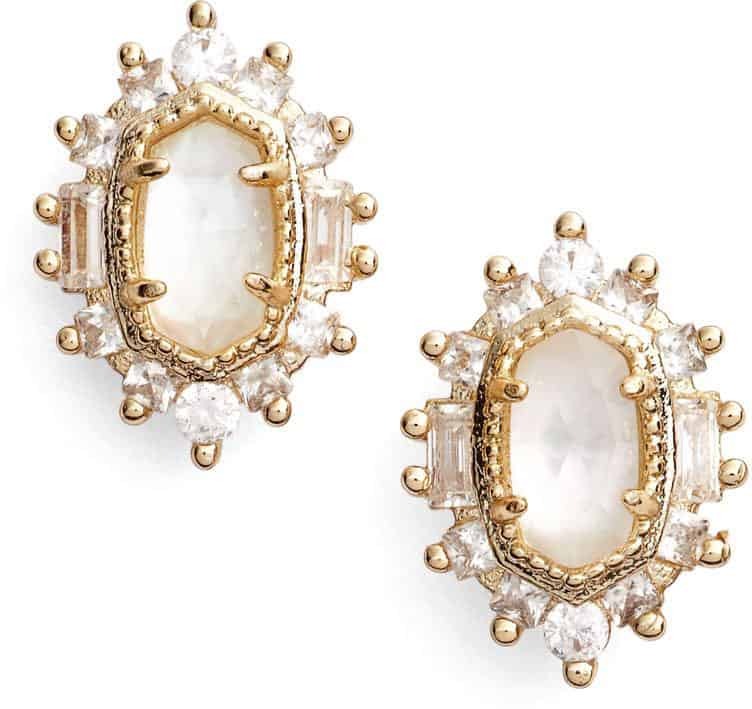 OK…I’m all about those Kendra Scott Stud earrings! How gorgeous! 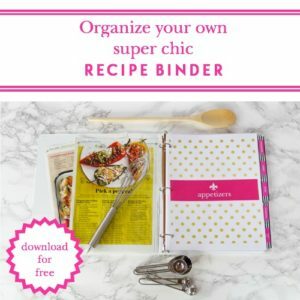 And love your organizing suggestions too. I think you had fun putting this post together…I had fun reading it. 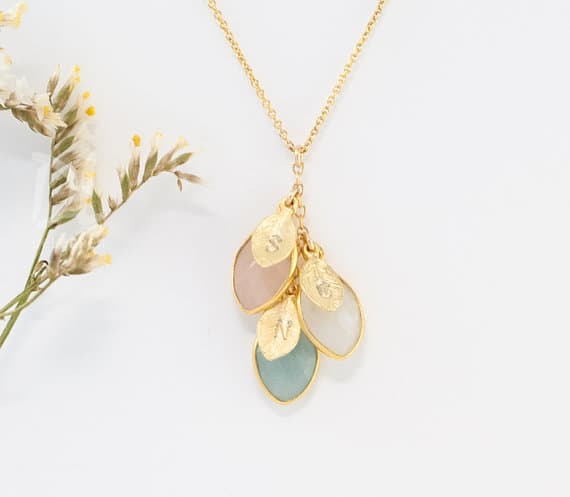 I love to receive jewelry as a gift, and that Kendra Scott necklace is calling my name! I also love that pearl necklace, oh my! Great choices! 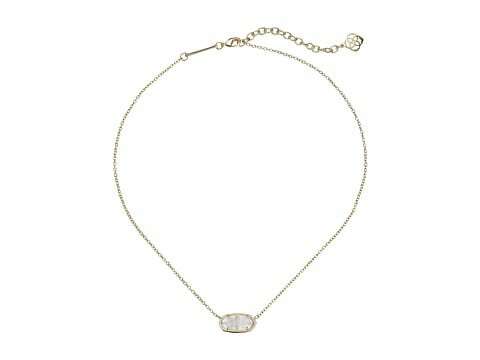 Robin, I received the Kendra Scott necklace in gold/iridescent drusy from our oldest son for Christmas. It’s one of my favorites. Last time I was in TX, my DIL had to stop into the Kendra Scott store to return something, and when I stepped in with her I was in love with everything I saw. You have a great selection of jewelry that would make any mother happy! I love your Jewelry gift suggestions for mom. 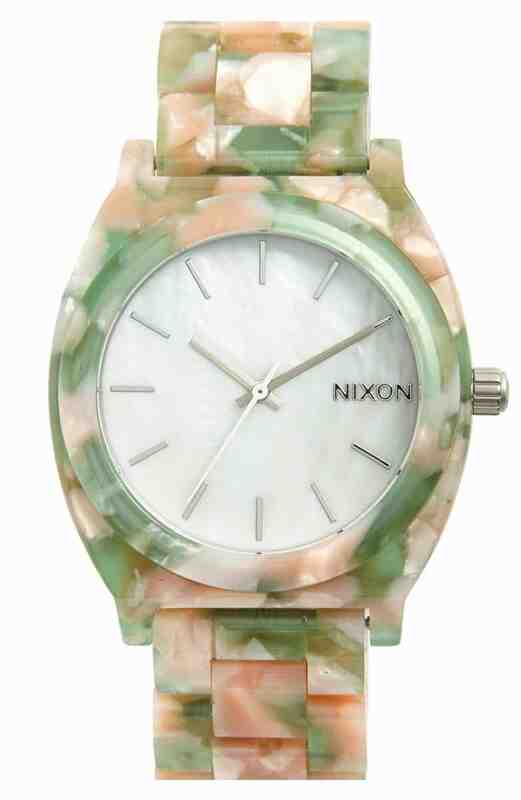 Its hard to have a favorite but the Nixon ‘Mint Julep’ Watch and Anna Beck Semiprecious Stone Ring are at the top of the list for me! I love the stamped necklace and watch! 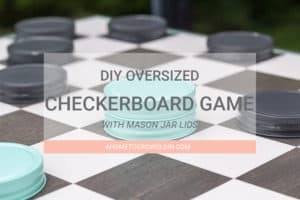 I made a jewelry organizer similar to the one you show!